While incorrect claims came on Monday from a document showing alleged details on a NAND flash chip for Apple's next iPhone, another questionable schematic from the same source suggests the "iPhone 6" may include a near-field communications chip [updated]. 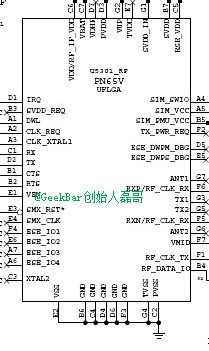 Chinese repair firm "GeekBar" shared a picture of the schematic on Monday via the social media site Weibo. 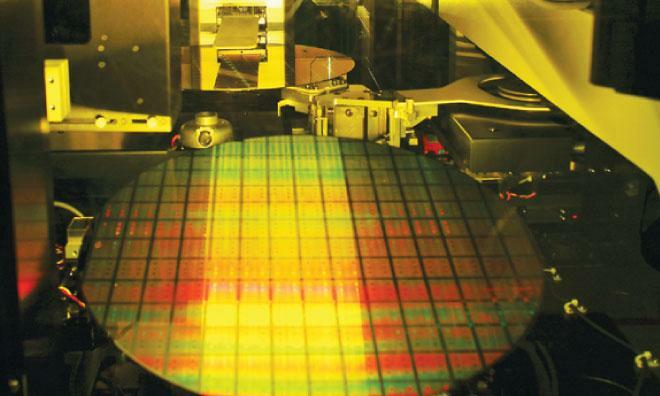 It purports to show that a PN65V near-field communications chip from Semiconductors will be included on the "iPhone 6." The details seem questionable, as Apple has to date only used Bluetooth and Wi-Fi for short-range wireless communications. Apple currently offers a combination of the two technologies for its own proprietary "iBeacon" standard. The schematic was released on the heels of another document that was originally interpreted to suggest that Apple's next-generation "A8" processor would come with 1 gigabyte of RAM— the same as the A7 chip found in the iPhone 5s. But observers were quick to note that the mention of 1 gigabyte on the schematic was actually in reference to a NAND flash module, representing internal storage instead of RAM. 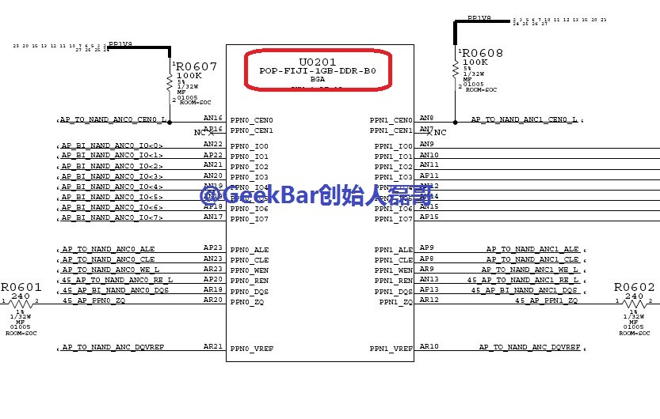 The purported schematic was published on Weibo by GeekBar, and it initially— and incorrectly —said it suggested that the "A8" processor will not expand the amount of RAM available. The document was first highlighted on Monday by GforGames. Apple first began offering a gigabyte of RAM in its custom CPUs with the A5X chip that debuted in the third-generation iPad with Retina display in 2012. Later that same year, the A6 processor that powered the iPhone 5 also came with a gigabyte of RAM, marking the first time Apple had achieved that amount on a phone. If Apple did stick with 1 gigabyte of RAM for this year's expected "A8" chip, the chief reason could be to improve battery life. RAM constantly consumes power, and more RAM available for programs will result in a faster battery drain, so less memory will actually improve battery life. Of course, there's a cost as well: Less memory means that iOS must actively close background tasks and refresh tabs in Safari as well. For its part, Apple does not focus on the amount of RAM available in the current A7 processor. The company's website only mentions that it has a 64-bit architecture, and the company played up the chip as "desktop-class" when the iPhone 5s was unveiled next September. However much RAM it does end up having, the "A8" chip is expected to be unveiled at a media event Sept. 9 where the company is said to be planning to unveil its next-generation "iPhone 6." It's expected that Apple will launch two new iPhone models this year: One with a 4.7-inch display, and a jumbo-sized version with a 5.5-inch screen. Some have speculated that the larger iPhone could be a so-called "iPhone Pro," speculating that Apple could add in more advanced features like a superior camera— or even more RAM— for those who want a more powerful handset. But thus far there has been little hard evidence to suggest that either model would be drastically different.